Financial statement auditors spend a lot of time evaluating how their clients report work in progress (WIP) inventory. Here’s why this account warrants special attention and how auditors evaluate whether WIP estimates seem reasonable. Companies must report the value of raw materials, WIP and finished goods on their balance sheets. 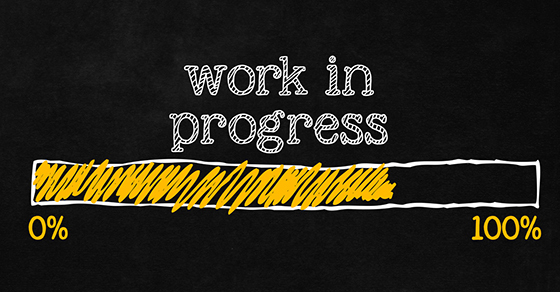 WIP — which includes partially finished products at various stages of completion — relies on the use of estimates. As a general rule, the more raw materials, labor and overhead invested in WIP, the higher its value. Most experienced managers use realistic estimates, but inexperienced or dishonest managers may inflate WIP values. This can make a company appear healthier than it really is by overstating the value of inventory at the end of the period and understating cost of goods sold during the current accounting period. Companies assign manufacturing costs depending on the type of product they produce. When a company produces large volumes of the same product, they allocate costs as they complete each phase of the production process. This is known as standard costing. For example, if a production process involves six steps, at the completion of step three the company might allocate 50% of their costs to the product. On the other hand, when a company produces unique products — such as the construction of an office building or made-to-order parts — they typically use the job costing system to allocate materials, labor and overhead costs as incurred.